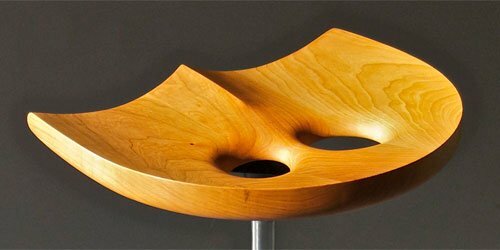 The engaging ergonomic designs of Owl Furniture are inspired by Geoffrey Warner’s awareness of how people relate to their environment. Geoff believes that furniture is the tool that should promote a pleasurable experience while working and playing. The postural support holes, in both the classic and pro designs, promote an active sitting posture and encourage core strengthening. This allows a healthy neutral position for the pelvis and supports spinal alignment. 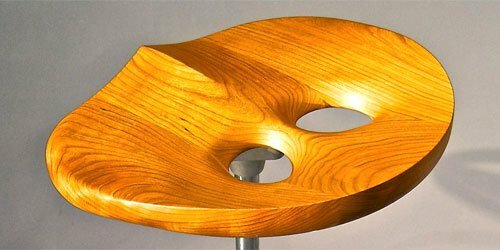 The body focused shapes of Owl Furniture are designed to support you in a healthy lifestyle, whether sitting or standing. 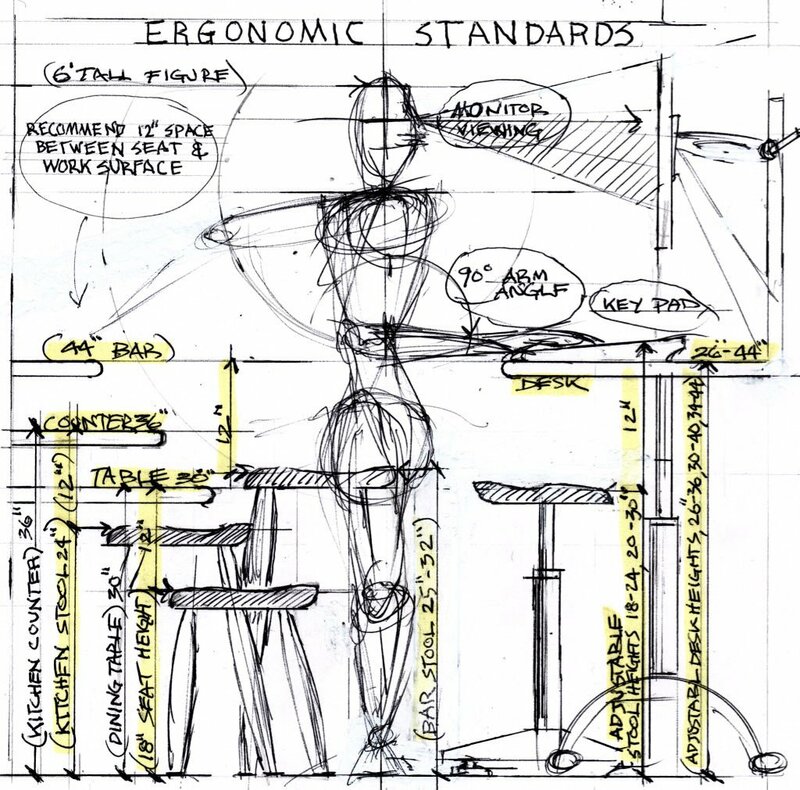 Adjustability and mobility are key considerations in our designs. body-focused design to support a healthy, productive lifestyle. On a traditional seat when we feel pressure on our ischial (sit) bones we tip the pelvis back to relieve pressure. This causes slouch, strain and eventually pain in the lumbar spine. Optimal posture as supported by the owl stool. With room for your sit bones, there is no temptaion to slouch and the spine stays natually aligned. In 2013 Owl Furniture received a grant from the Maine Technology Institute to fund an analytical study by US Ergonomics. 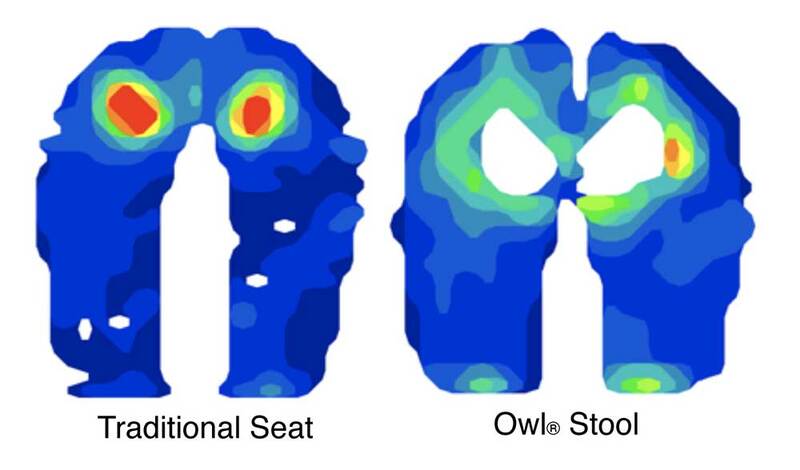 The image above comes out of that study and shows the difference in pressure distribution between a traditional flat seat and the Owl® Stool. The spacing of the holes in the Owl® Stool proved to be the perfect average for both male and female subjects. Furthermore, “Owl seat designs were very effective at reducing the peak pressure concentrations at the ischial tuberosities”. Additionally, BIFMA test results demonstrate the strength and durability of the Owl® Stool, up to 300 lbs. – PAOLA ANTONELLI, Senior Curator, Department of Architecture and Design, Museum of Modern Art. 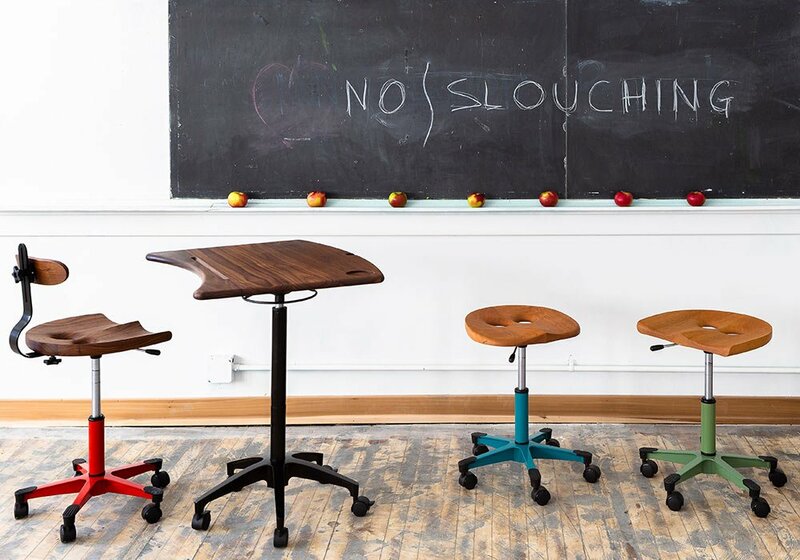 which stool is right for you? The Classic Owl seat provides added support for the legs and hips with up-sloped sides and a concaved support system at the front of the stool. The classic seat is designed with a 4° forward tilting angle that cradles the pelvis at the optimal angle for proper spinal alignment. The postural support holes relieve back pain by easing spine tension and sitting pressures. The Pro Owl seat has rounded front corners allowing a greater range of leg motion. This is achieved by leveling the outside front corners and adding an extra 1° forward pitch to the seat. The Pro Owl seat provides for a more active and forward sitting posture than the Classic seat. The postural support holes in the Pro Owl seat relieve back pain by easing spine tension and sitting pressures. All seats are offered as a wooden leg stool or a metal based stool.